Congratulations to queer comix's very own --- Justin Hall for being nominated for the prestigious Eisner Award for his work as editor for "No Straight Lines: Four Decades of Queer Comics"!!! The Eisner is like the Oscar of the American comic book industry. If you can vote for him, then VOTE!!! It's open to the "comics industry." Some of you may have to register or something. Not exactly sure. But, make sure you allow time for approval and if you can ---VOTE HERE: http://www.comic-con.org/awards/eisners-current-info The voting closes on June 12th. Oh! And, our very own Justin was also nominated for a Lambda Literary Award for Best Anthology!!! I consider Justin to be an incredible talent. And, I'm ALWAYS happy when wonderful things happen for him because of his incredible work. 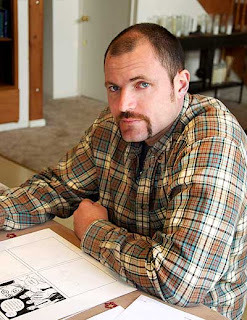 And, he should be commended for highlighting so many of our queer cartoonists. Well, for FORTY YEARS worth of 'em. Congratulations to you, Justin!!! And, congratulations --- to ME!!!! Because I'm in the book, too for my short story "Click Download," which was originally published in (my other personal favorite queer cartoonist), Rob Kirby's "The Book of Boy Trouble Volume 2: Born To Trouble." SO VOTE FOR US!!!! Thanks,, Greg S. I was so unexpectedly a part of this moment in history. But, as always, I'm very honored to be a part of it. 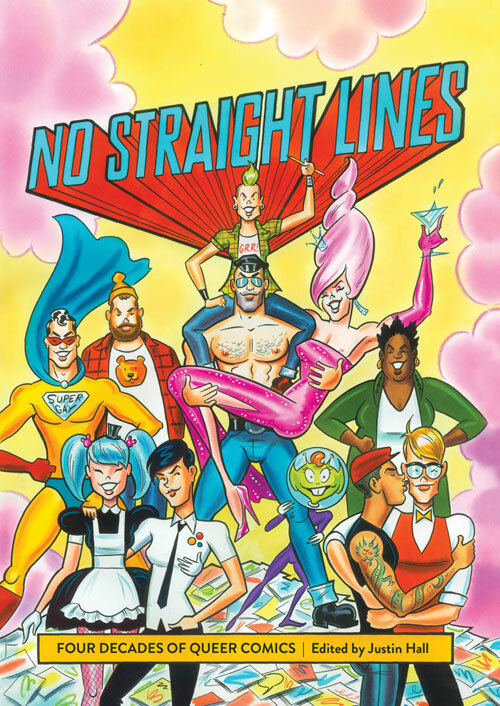 I'm just grateful to be associated in some very small part of our queer comix history. These are some very incredible and talented people I've met. I just have to celebrate!!!! We're still waiting to hear about the Eisner, but Justin won the Lambda Literary Award!!!! Go, Justin Hall!! !